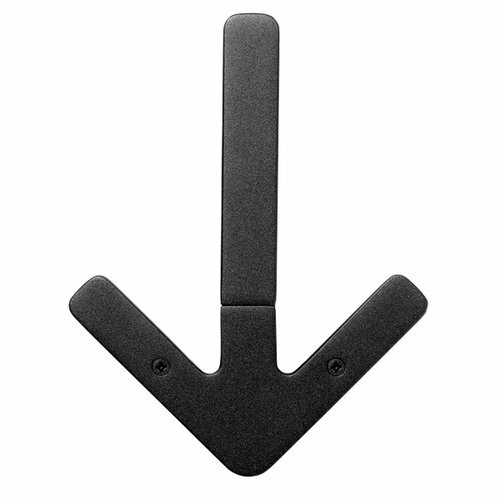 While not functionally employed as a hanger, Arrow adorns the wall like an iconic graphic symbol. 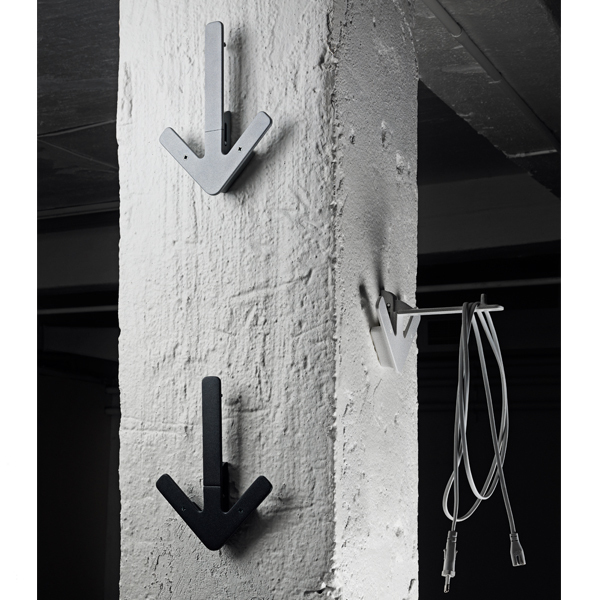 Gustav Hallén's design is both a clever contemporary hanger and a decorative interior design feature. When Arrow is folded there are three points from which you can hang things. 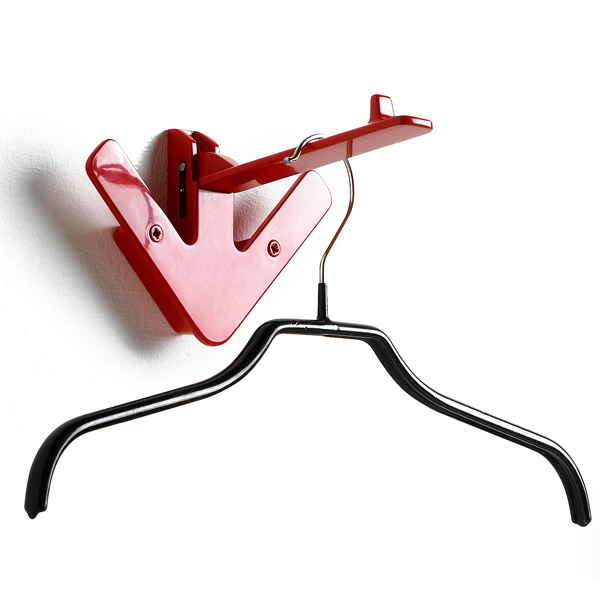 This third point works well for coat hangers. 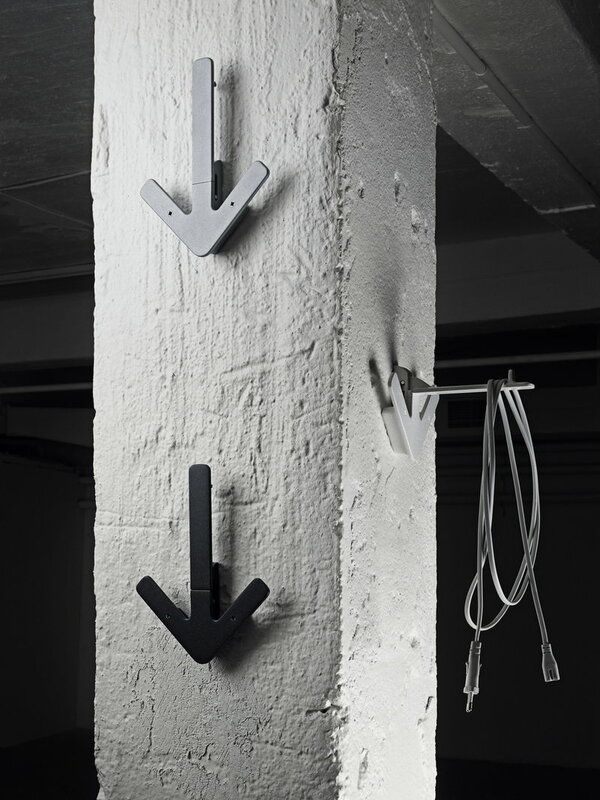 Gustav Hallén is a Swedish designer who works at his own design company, Hallén in Stockholm. The company operates in a broad field of design, including product and graphic design. 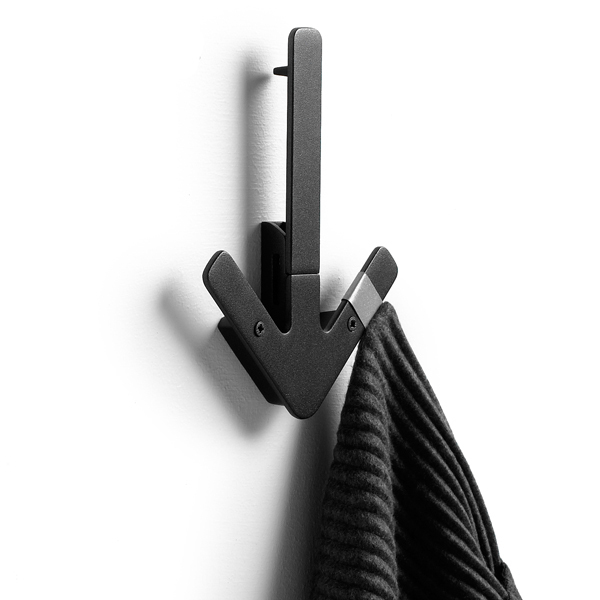 Hallén has received the Red Dot Design Award for its 2009 design of the Arrow coat hanger.